13.9" x 6.2" stitched on 14 count. 10.8" x 4.8" stitched on 18 count. 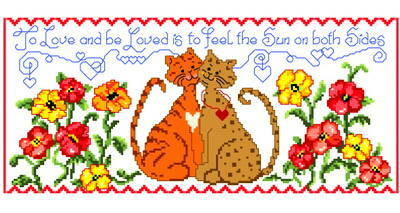 Sun on Both Sides cross stitch pattern... One is lucky when one finds true love.